Most real estate closings involve a mortgage, and a mortgage requires an appraisal. The buyer and seller can agree on a price, but the deal cannot be closed until the appraiser gets involved. The appraised value of the property can be important for mortgage qualification because the buyer will not be able to borrow more than a certain percentage of the value of the house, based on the appraisal. So, if the bank thinks the mortgage is too big a risk, the appraisal could hold up the sale and necessitate a change in closing date. Closing a real estate deal requires an exchange of keys and capital, but the amount of money that changes hands at the closing is a complicated calculation. The selling price of the house is one consideration, but then there are also prepaid property taxes and other fees that may be prorated and repaid to the seller. For example, if the property contains an oil fuel tank, the seller may be entitled to a reimbursement for the unused oil left in the tank. Depending on the time of year, property taxes could be prorated and returned to the seller. The pay-off amount for the seller’s mortgage can also vary based on what day of the month the closing takes place. If the buyer and seller do not both stipulate to the closing figures presented, extra time may be needed to resolve the disparity. The purchase offer sets the deadlines for inspections and other timeframes required before closing, and then the approximate closing date. Typically, real estate agents use contract forms to write these offers. Even the best realtor is guessing at the amount of time needed to complete the pre-closing activities, and sometimes the realtor will set these dates to accommodate either the buyer or the seller. But ultimately, the bank determines when the property is ready to close. The mortgage lender will also have standard requirements for pre-closing documentation. Until these requirements are met, the closing cannot take place. Improvements to real property are done after purchase and aren’t always added to the survey, and many property owners only update their survey when they are selling the house. So, an outdated survey could be inaccurate. In preparing for the closing, a real estate attorney will review the survey and may determine there is a problem. Maybe a fence is too close to a boundary line or the driveway extends onto the neighboring property. Even minor issues like these can cause discrepancies. The real estate closing must be based on clear, accurate information to be binding, so the survey must accurately represent the current state of the property. Otherwise, you may be awarded ownership of your neighbor’s fence, which can turn into a future legal battle. Many people think the mortgage lender holds up a closing with all their paperwork that no one really understands, anyway. Although a buyer may be pre-qualified for a mortgage to short-cut the amount of time required to prepare the mortgage for closing, banks still may have last minute requests that postpone the closing. If the mortgage lender finds some new financial activity in their final credit review, they may ask for an explanation that pushes back the closing date. 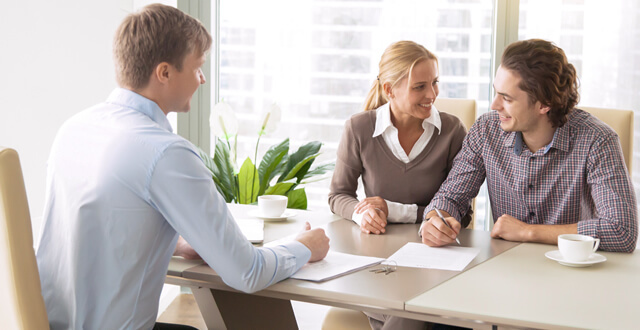 Title searches can be one of the most intricate parts of preparing for a closing. The title to the property must be completely owned by the seller with no opportunity for any other party to claim ownership. A title search is done to be sure there are no liens or other potential claims on the property before it is deeded to a new owner. If the title was not updated in recent years, the search could be extensive. One example is a case where a property owner died and the property was inherited by a family member. Depending on the parties involved, resolving title issues could take additional time and push back the closing. A home inspection might determine defects in the house that affect the value or safety of the property. A buyer could request repairs to be completed, making the purchase contingent on those improvements. The bank may deny mortgage based on the home inspection, and the seller would have to upgrade the property before it qualified for a mortgage. When repairs are agreed to by the seller, the pre-closing preparations can typically go forward, assuming the repairs will be completed. But, if they are not done in time, the closing may need to be delayed. The final walk-through usually takes place just before the closing, sometimes only hours or a day prior. This is the buyer’s opportunity to confirm the condition of the property meets the purchase agreement. All appliances and fixtures that come with the property should be there, and the house should be empty and reasonably clean. This is the buyer’s last chance to be sure the furnace is working and verify that any agreed upon repairs are completed to their satisfaction. If any issues come up during the final walk-through, the closing may be delayed until they can be rectified. Even when the buyer is pre-approved for a mortgage, the mortgage could be rejected before closing. There are several reasons for this, but they all result in postponing the closing date. Sometimes a new mortgage can be obtained, but in other cases, the seller must seek out a new buyer. A real estate closing requires coordinated work from several professionals. If one does not complete their tasks in a timely matter, it can have a domino effect and end up postponing the closing. Selling a house is a major undertaking, culminating in a real estate closing. Coordinating the efforts and documentation of several parties is not easy, and it can take anywhere from 30 to 90 days or more. The key to a smooth real estate closing is in the scheduling. Superior Notary makes real estate closings easier with our mobile notary service. Instead of wasting time chasing a notary around town to complete your closing documents, we’ll send one to you when you’re ready. If the date of your closing is changed, simply reschedule your mobile notary through our online system.